Today we’ll be taking a look at the different kinds of diabetes, how weight factors into diabetes management, and the research around phentermine and diabetes. There are an estimated 415 million people living with diabetes around the world. National Diabetes Statistics Report 2017 suggests that around 23.1% of the adult population in the United States is suffering from either type 1 or type 2 diabetes. Unfortunately, this is expected to only get worse as obesity continues to rise, causing a rise of type 2 diabetes with it. It’s hardly going to come as a surprise that the interest in phentermine and diabetes has grown as well. Diabetes mellitus, more commonly known simply as diabetes, is a medical condition that is characterized by an increase in blood glucose levels. There are a number of types of diabetes including; type 1, type 2, LADA, and gestational. While each of these variations causes an increase in blood sugar levels, they are separated into the different types due to their underlying cause. The key difference between the two main types of diabetes is the biological source of blood sugar regulation, but there are other important distinctions between the two. Type 1 diabetes, also known as juvenile diabetes, is an autoimmune condition that causes the immune system to attack the insulin-producing cells of the pancreas. The cells are then destroyed, unable to properly create insulin. Without the proper levels of insulin, the body is unable to properly utilize glucose for energy. This means that too much glucose (sugar) is left in the blood and patients begin to develop symptoms such as tiredness, frequent urination, extreme thirst, and unexplained weight loss. This form of diabetes is often diagnosed in childhood but it may appear at any age. The condition is managed through insulin injections, lifestyle changes (such as diet and exercise) and constant monitoring. Type 1 diabetes is a genetic condition and is not due to individual lifestyle choices. In contrast, type 2 diabetes is characterized by an accumulation of glucose in the bloodstream caused by the body being unable to properly use insulin. Even though the pancreas is able to produce insulin normally – at least in the early stages – the body is unable to properly use the hormone. It causes the body to have trouble removing glucose from the bloodstream to nourish cells. Medical professionals have termed this “insulin resistance”. As blood glucose levels continue to increase, patients suffer from symptoms such as dry mouth, constant hunger and thirst, slow healing, and frequent urination. Type 2 diabetes can happen at any time, but it is most likely to occur when people are older, overweight, inactive, or have a high hip to waist ratio. It is also more common for women that have had, or still have, polycystic ovary syndrome (PCOS) or gestational diabetes. The condition can be managed with lifestyle changes (such as diet and exercise), oral medication and – on occasion – insulin injections. Maintaining a healthy weight and making healthy lifestyle choices can help to manage and prevent the onset of type 2 diabetes. Maintaining a healthy weight is the key to overall health, well-being, and longevity. Having extra weight on your body makes it harder for your body to control blood sugar, and increases the risk of diabetes and diabetes-related complication. Research shows that losing weight improves insulin sensitivity (the opposite of insulin resistance) and boosts blood sugar control. As type 2 diabetes is caused by insulin resistance, which is made worse by being overweight and inactivity, reaching, achieving, and maintaining a healthy body weight is vital to preventing and managing diabetes. If you are overweight, then the American Diabetes Association (ADA) recommend aiming to lose 7% body weight, as well as performing 150 minutes of moderate physical activity a week, to delay – and prevent – the onset of type 2 diabetes and the progression from prediabetes to diabetes. It’s also recommended that those already suffering from diabetes with a BMI level of overweight or obese to lose weight. Losing just 5% body weight – only 10 pounds for someone who weighs 200 pounds – has been shown to improve insulin resistance, restore blood sugar control, and improve cardiovascular markers for people with type 2 diabetes. This is why experts recommend treatment plans for the condition should focus less on controlling blood sugar and more on losing weight. Anyone that has diabetes can still lose weight, it just may involve a little extra planning and hard work. The first step is to speak with your doctor or other medical professionals. The important people to talk to include your primary care physician, dietician, an endocrinologist. You should discuss your diet, exercise, and even your medication; how it all impacts weight loss and how you should modify these factors to reach your weight loss goals. As far as a diet for losing weight with diabetes is concerned, eating less fat and more lean proteins, fruits and vegetables, and whole-grains has proven to be effective. The ADA recommends a low-fat, low-carb, and low-calorie diet – or a Mediterranean diet – for losing weight. Throughout the process, it’s important for you to monitor how the changes to your diet and activity levels affect your blood sugar levels. Be sure to test your blood glucose on a regular basis, especially after starting the new diet and exercise routine or making adjustments. Being aware of how your body reacts to these changes is a vital part of avoiding dangerous blood sugar variations and hypos. If you do notice that your blood sugar levels are dwindling, then talk to a doctor about adjusting medications and insulin dosages. The evidence is emerging that suggests type 2 diabetes could possibly be reversed by making significant lifestyle changes. The condition is considered to have been put in remission – if not reversed – when patients are able to reach a hemoglobin A1C level below 6% (42/mmol/mol) without having to use medication. While the concept hasn’t taken off yet properly in the United States, the idea of being able to reverse diabetes is becoming more widespread across the UK. It isn’t currently possible to reverse type 1 diabetes, but researchers are continuing their efforts to find a cure. Learn more about reversing diabetes through https://www.diabetes.co.uk/. Given all of the weight loss benefits for those with diabetes, and how effective weight loss drugs such as phentermine have proven to be, researchers are looking at how useful prescribing appetite suppressants can be for diabetes patients. Below we have put together a quick overview of the most recent research into phentermine and diabetes, as well as the professional response to the question of if diabetics can safely take phentermine. The most prominent study for phentermine and diabetes is the study of Weight-Loss Therapy in Type 2 Diabetes; Effects of Phentermine and Topiramate Extended-Release, published by Garvey et. Al in 2014. It looked at 130 patients suffering from type 2 diabetes, following them for a year. It assessed whether taking phentermine and topiramate ER (Qsymia) had any impact on blood sugar levels and weight loss. Researchers discovered that the patients taking phentermine and topiramate ER, along with making lifestyle changes, benefited more than the patients being treated with placebos. Specifically, the diabetic patients taking the phentermine combination lost more weight and had significant improvements in their blood sugar control. Another study from the same team showed that the same combination of phentermine and topiramate ER, combined with lifestyle changes, decreased the likelihood of overweight and obese patients with metabolic syndrome or prediabetes developing full type 2 diabetes. Many diabetic patients are considered good candidates for phentermine. Given the connection between obesity and type 2 diabetes, not to mention all of the clinical benefits of losing weight, weight loss medication such as phentermine has proven to be an important option for reaching a healthy body weight. Still, how appropriate it is for an individual patient to use phentermine can only be determined by a doctor. They would need your medical history and to perform a physical examination in order to make that decision. If you are taking phentermine alongside your diabetes medication – whether injected or oral – it’s important to stay on top of your blood sugar levels. Phentermine and the changes in diet and body weight associated with it will often impact blood sugar levels. For that reason, it’s vital that you regularly test blood sugar and report any high or low blood sugar levels to your doctor. They may have to adjust the dosages for your medication to help you reach your target weight while properly maintaining healthy blood sugar levels. 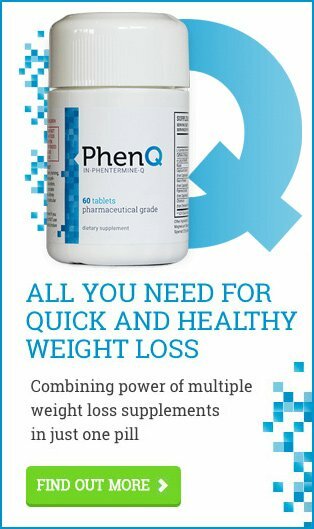 How Quickly do You Lose Weight on Phentermine?